Baseball season is almost upon us, and the folks at AQ2 Technologies can’t wait for the opening pitch to get the grill going. 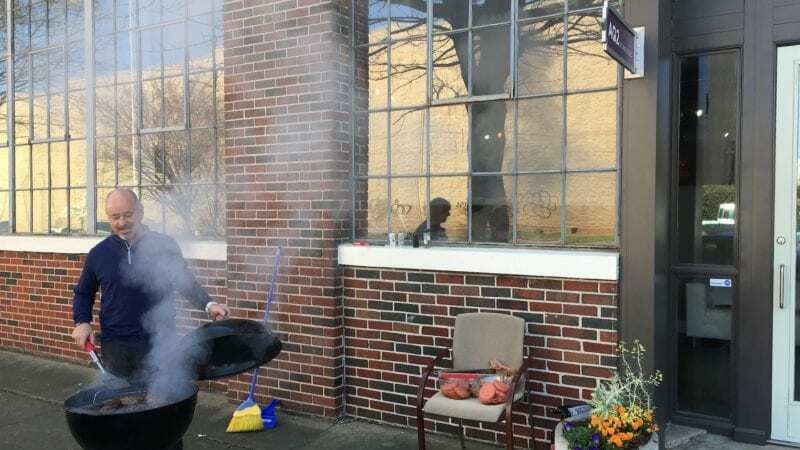 Each year to celebrate the start of the Baron’s Baseball season, they fire up the grill right there on the 2nd Avenue sidewalk for an impromptu tailgate. If you’re around Pepper Place today, follow your nose and there you’ll find Sam and his grill, getting the cheering section started. It’s just another day in the life at Pepper Place.